The name of this one has us stumped, because we can’t figure out why anybody would want to hide their desire to dress up like the legendary Lt. Uhura! She’s the total package: smart, bold, and beautiful. Sure, uniform regulations for Starfleet officers tended to be a little more laissez-faire in the old days—but that’s no reason to resist the urge to slip on the mid-calf boots and minidress of your favorite communications officer! After all, it wasn’t just Uhura’s good looks that distinguished her from the other members of the crew. For starters, there was her remarkable presence of mind, her uncanny ability to fill in for nearly any other officer, and her stellar mental math skills. Then again, we don’t think that any of her peers would have looked half as good in an outfit like this—not that we’re trying to downplay the smoldering appeal of a shirtless Captain Sulu! 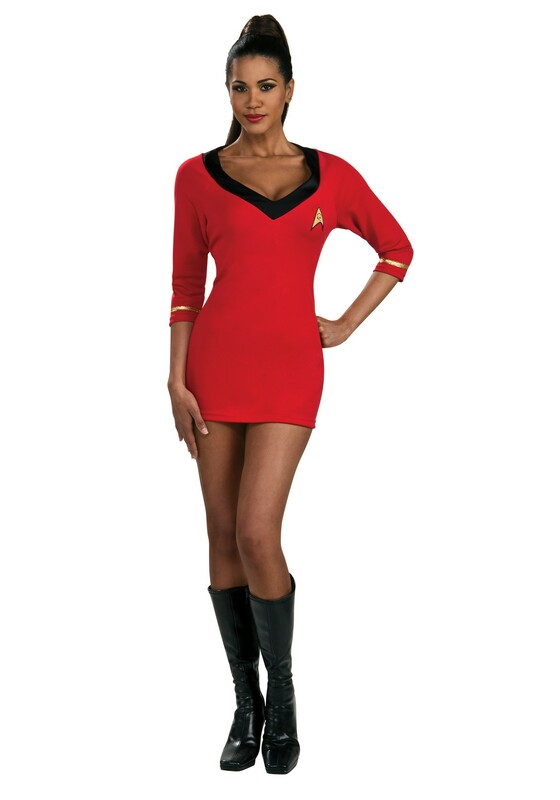 Whether you’re headed to a convention or a decades party, this geeky throwback attire is the perfect way to show off your deep love of Star Trek (and the hard-earned results of all those squats and leg presses you’ve been doing). Invite someone special to join you on the bridge, or just get all your friends to dress up like tribbles! We’re sure that you’ll be pleased to discover the authentic fun of this versatile look as you take on the final frontier with the crewmates of your dreams.